This is the serm on I preached on the 10th anniversary of 9/11. The text is the Psalm 46 and the subject is God as our true refuge. God is our refuge and hope even in the midst of the void that is left behind when loved ones, or towers, are taken. 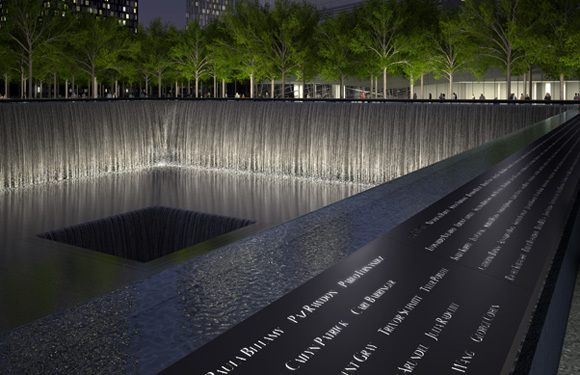 As Jesus used a pool by a deadly tower collapse to heal a blind man, the fountains where the towers once stood, the voids left behind, are now places where we receive healing. This entry was posted in Faith Shots, Sermons and tagged 9/11, 9/11 sermon, god, grief, healing, hope, jesus, psalm 46, Sermon. Bookmark the permalink.